We need volunteers to help man the stalls and activities, so that everyone, children and parents, have fun on the day. This is our end of year celebration, summer fayre, with live music, children's activities, refreshments and food, and there is no entrance fee. 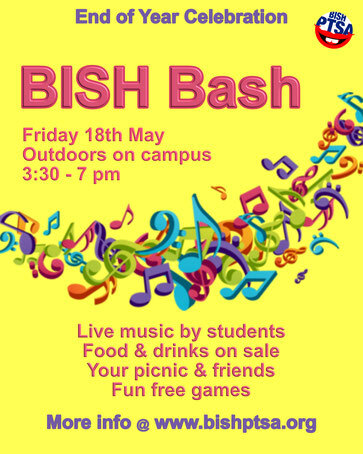 From 3:30pm till 7pm Friday 18th May, outdoor on campus. Live music by the students will start at 4:00pm. Singers and students bands will be performing outside on stage. Burgers, hot dogs, pizza, snacks, candy floss, popcorn, drinks and mocktails. Tokens will be on sale on the Wednesday and Thursday before the event at pickup, in the car park corridor, so you can buy early and avoid the queues on the day. 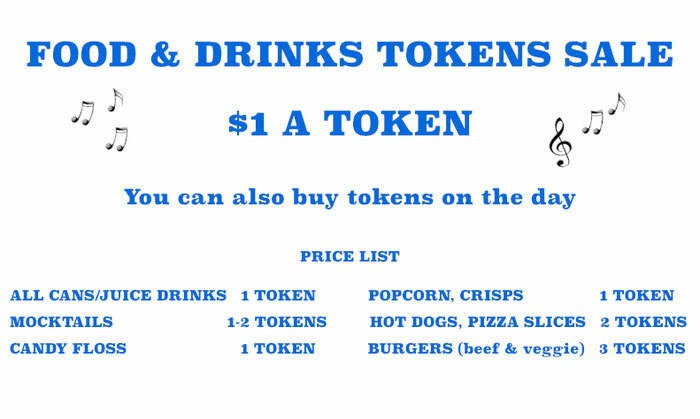 Else bring cash on the Friday to buy tokens then.